I came up with the idea for this topic for this week’s 2 on 1 Friday blog post, having recently been meeting and talking to many of my contemporaries thanks to a recent reunion of my classmates from Business School. Please do go over to Shackman’s blog to see his take on the same topic. With just two exceptions, I found that my contemporaries were all living either alone as widow/widower or couples with the children away in distant places, more often than not, overseas. Some were seriously considering moving into a rather new development in India, where builders offer accommodation with kitchen facilities but, where residents have the choice of round the clock kitchen and mess facilities, plus cleaning and maintenance and emergency access to medical services. These facilities, called Homes for Seniors are by no means inexpensive but, they offer freedom from loneliness and also the bother of running households. The underlying theme that I came across, crosschecked again with others not from my classmate gang, living alone, unlike in our youth when we lived with our parents or they with us, is stressful and parents keep longing for the company of children and grand children. 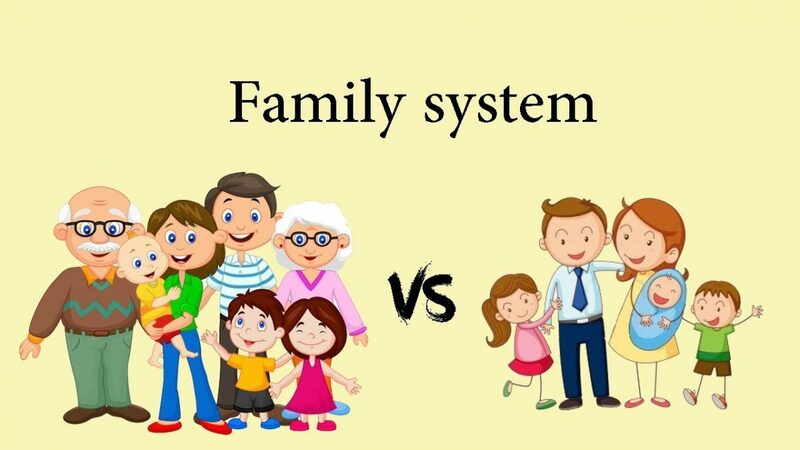 Yes, the parents are often called over to baby sit or provide help during pregnancies and such emergencies but, after that occupation is over, there is little for them to do at the children’s homes and they get bored and return to their regular homes and the cycle repeats. I also found that unlike in my youth when a lot of meetings took place between cousins, uncles and aunts during weddings and other functions, such meetings now a days are infrequent due to distance and career commitments. This too adds to the stress and no matter how often one talks to relatives on the phone, much cheaper now a days than during my youth, the bonds built through personal meetings and food shared are missed too. I am rather fortunate among my siblings as none of them have their children living with them and one has even moved into one of the many Homes for Seniors in Bengaluru. One brother has died leaving his widow to fend for herself with three of her children and six grandchildren far away. She sounds cheerful because her sisters and other relatives keep her company on and off but, I can sense the longing for the company of her late husband, children and grandchildren. I live with my son, daughter in law and dog and also have been blessed with many friends who keep me occupied with various activities. Despite such a comfortable existence, I still miss meeting my relatives whenever some memories crop up or a mail lands up or one of them lands up in a hospital. The older ways of living close by to one’s family would have been better for older people like I now realise. 14 Responses to Families Then And Now. My family is now rather scattered, living in different towns in Essex and Cambridgeshire. But it was the same when I was growing up – we lived in north west London but my mother’s parents lived in Essex and my father’s mother and aunt lived in Cornwall. For many people, relying on family for company is somewhat idealistic. Looking for friends in your immediate neighbourhood is probably a better bet. Such acceptance of the realities of modern life has already been thrust on most people including me. I do not have any relative living in the same city where I live bar my son, his wife and her immediate family. I however have a very wide circle of friends. I can honestly say Ramana is that I love living alone. Now I do get to see Daughter who lives not too far away and my niece and her largish family who live close by. But living as a partner of anyone has never appealed to me even tho I did try a few times and always had a sense of vague unhappiness as I couldn’t “perform” the sweet coupledom decreed. I’m not good in great gatherings and my sibs and I always have this undercurrent of anger and showmanship when we do get together (dysfunction junction I call it) so I am happiest with family of choice, my friends who understand me as I understand them. In small quantities. I enjoy my solitude and the comforts of my home too. I however straddle both the worlds of close friends and my extended family. I do however have cousins who are unlike me and who have contacts only with me but they are the exception rather than the rule. My relationships with my siblings and their offspring are very close and regular. I know and also know of others like you and I admire them as I do you. I am just different. I honestly have no idea what I am! I always hesitate to say a loner or a hermit because they often have bad connotations. as in uni-bomber! given my childhood… of moving constantly and the only stability being my immediate family… mother and father and one brother (the marine). I didn’t learn to make friends until after my husband Bob died. things might have been different had he not died or the marine’s wife hadn’t died… I don’t know. but even in childhood my nature was to be alone. it’s comforting to me. my brother and I are very close. he is truly my best friend. and like Catherine. this internet has become a whole new world of friendship for me! I’m grateful. OUr circumstances are vastly different and those have influenced our experiences and relationships. It is part of the kaleidoscope of life’s reality that makes for such interesting differences but connections. We are much more similar than I expected – no east/west difference as I expected. In my family my brother has the most successful marriage – he and his wife have 3 adorable daughters, Mike and Margie have been together since high school and married for 30 some years. They were very stable in their jobs as well -= especially in this day and age Margie worked at Kaiser Permanente since college and Mike has been in the transportation business for 30 years. That we are and if I were to list all the happily married siblings and cousins in my life, I would need a couple of pages. The fact however remains that I am the only one among all of them who has the privilege of living with his offspring. It is unusual now but when my generation’s parents were around, a very common feature in almost all Indian homes. I’m with Wisewebwoman on this one! 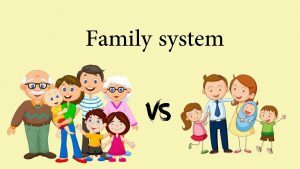 I love my large family (six siblings) my two children and grandson, but it would never do to live with them! I’m an introvert, with a great need for my own space and my own schedule. My husband understands this, and is happy to have some of his own pursuits. A gathering for special holidays and birthdays is enough for me, and keeps me happily in the loop.